Tuesday, 8 December 2015 was a special day for St Mary’s Catholic community in Loughborough when the Bishop of Nottingham, Right Reverend Patrick McKinney, came to celebrate Mass in honour of the 90th anniversary of the extension to the church. St Mary’s was originally built in 1838, and subsequently extended in 1925, to cater for the needs of the growing Catholic community in the town. 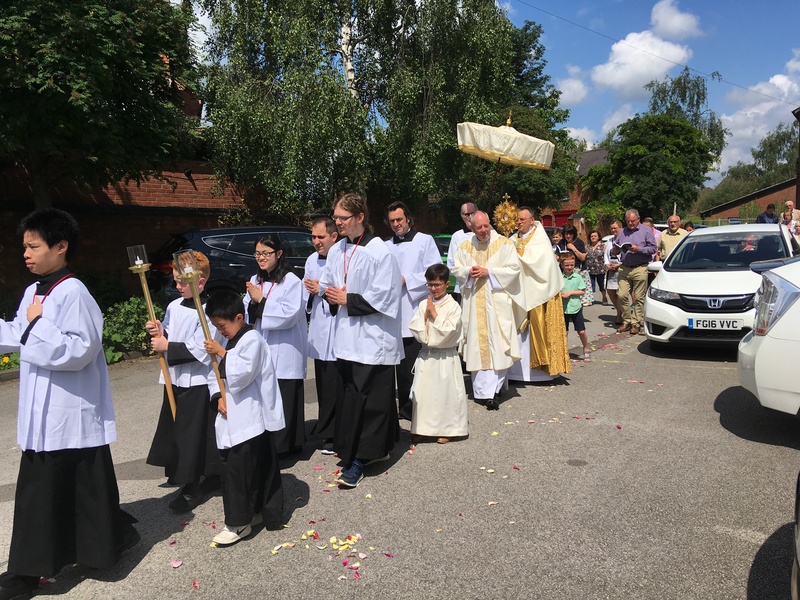 Mass was concelebrated by St Mary’s priests, local priests from Sacred Heart, Grace Dieu, Ratcliffe and Rugby, alongside former parish priests, Fathers Ted Mullen and Philip Scanlan who were greeted warmly by parishioners. 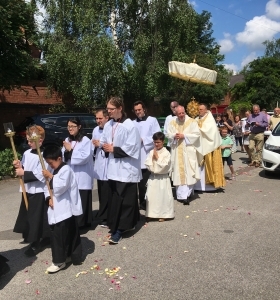 Also present was Squire De Lisle whose long association with St Mary’s and the Rosminian Order goes back to 1825 when Ambrose March Phillipps of Garendon Hall brought Father Luigi Gentili from the Italian Rosminian Order, the Institute of Charity, to Leicestershire. 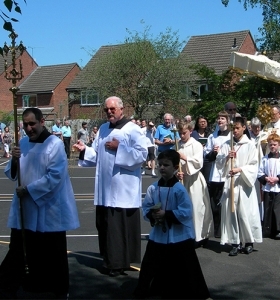 Many people were converted to Catholicism, leading to the building of churches at both Whitwick and Shepshed. After Mass the celebration continued in the parish hall. The date of 8 December is important in the Catholic calendar as it is the feast of the Immaculate Conception of Mary, to whom the church is dedicated. It is also the date designated by Pope Francis as the start of the Extraordinary Jubilee Year of Mercy, a special year focusing particularly on God’s mercy and forgiveness. 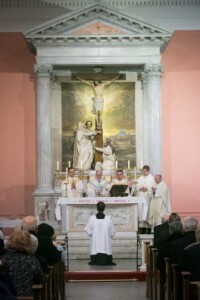 As the Bishop recalled in his homily, mercy was the springboard for the construction of St Mary’s; a mother in search of a Catholic church where her baby could be baptised discovered that there was no church in the town. The Pope wishes there to be events and activities not only at the Vatican but in local churches around the world to celebrate this important Jubilee Year of Mercy. 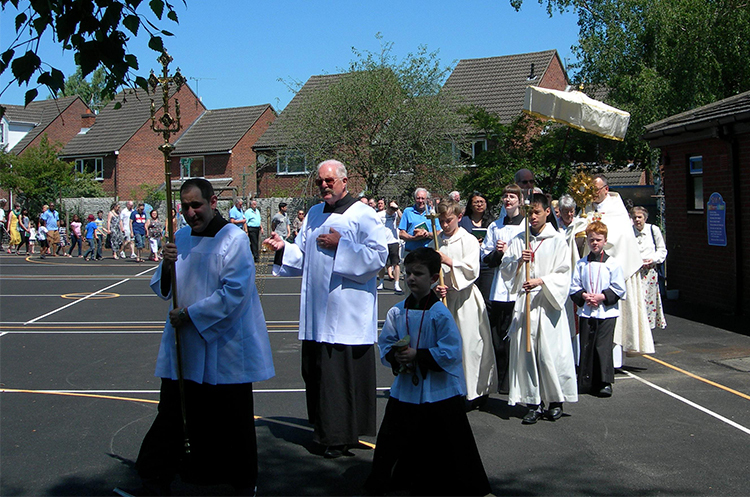 St Mary’s will be organising pilgrimages to St Barnabas’ Cathedral, Holy Cross Priory, Mt St Bernard’s and The Briars, Crich, where ‘Holy Doors’ will welcome the faithful. Responding to Pope Francis who said, “Let us not forget that God forgives and God forgives always, let us never tire of asking for forgiveness”, St Mary’s, in preparation for Christmas, is offering a Service of Reconciliation on Friday 18th December with confessions Saturday morning 9.45am – 1200 noon and from 5.30 – 6.00pm and 10.30 – 11.00am Sundays.